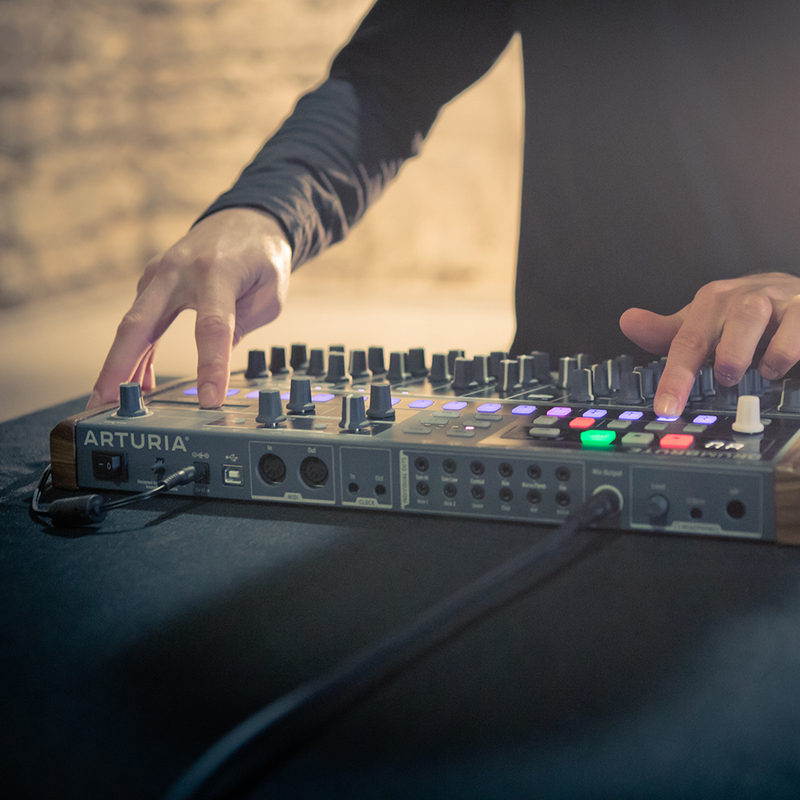 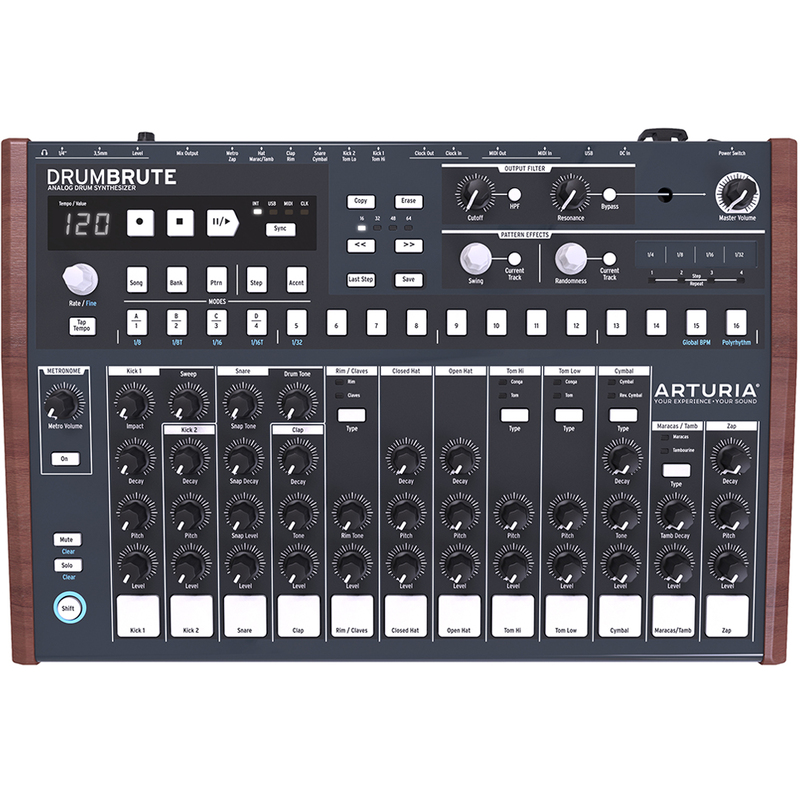 Providing 17 distinct, fully analogue drum and percussion instruments with an intuitive sequencer, massive connectivity, a two-mode Steiner-Parker filter, and dynamic performance controls, DrumBrute will take your beat production to the next level. 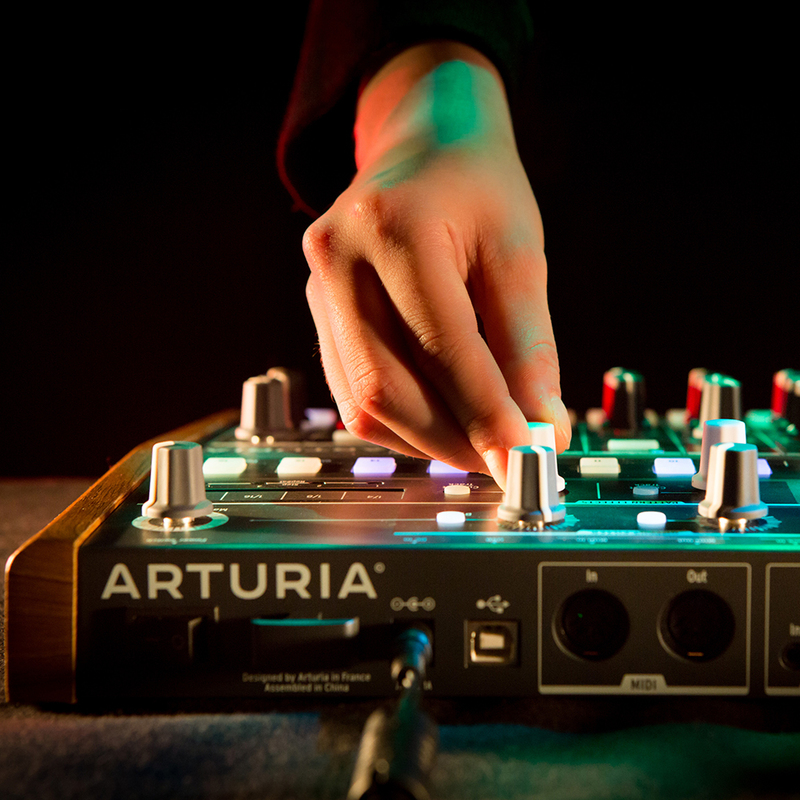 Create energetic and exciting drum beats with a single, user-friendly device. 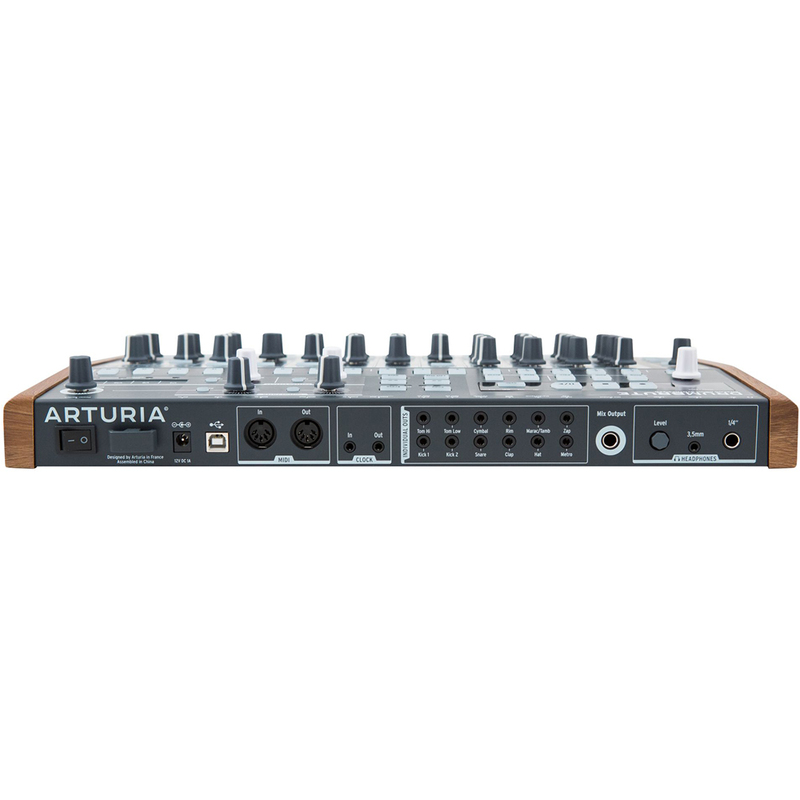 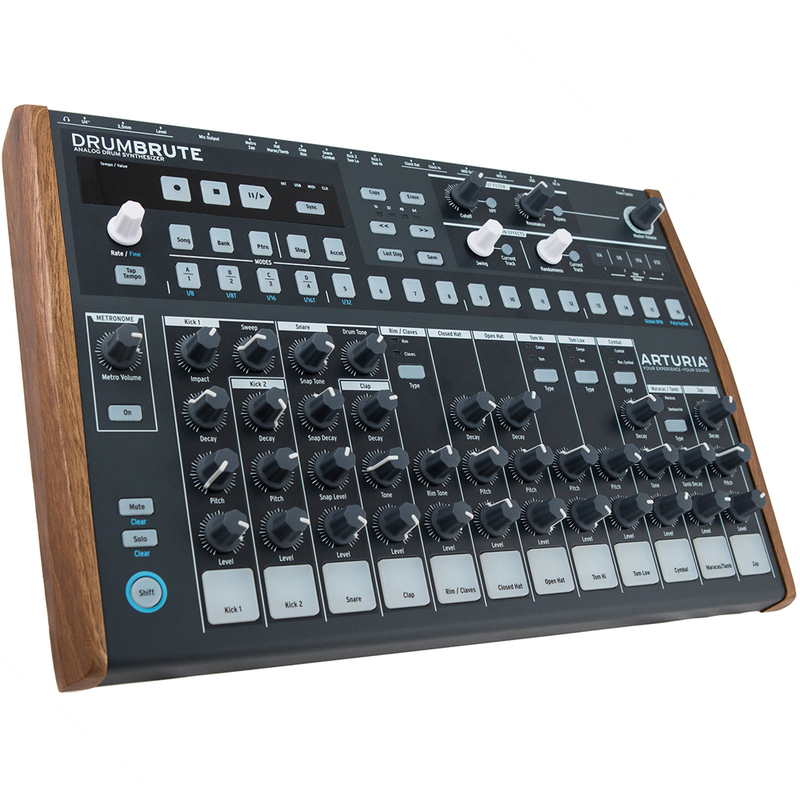 With its vast sonic potential and smooth workflow, DrumBrute meets and exceeds the expectations of demanding musicians. 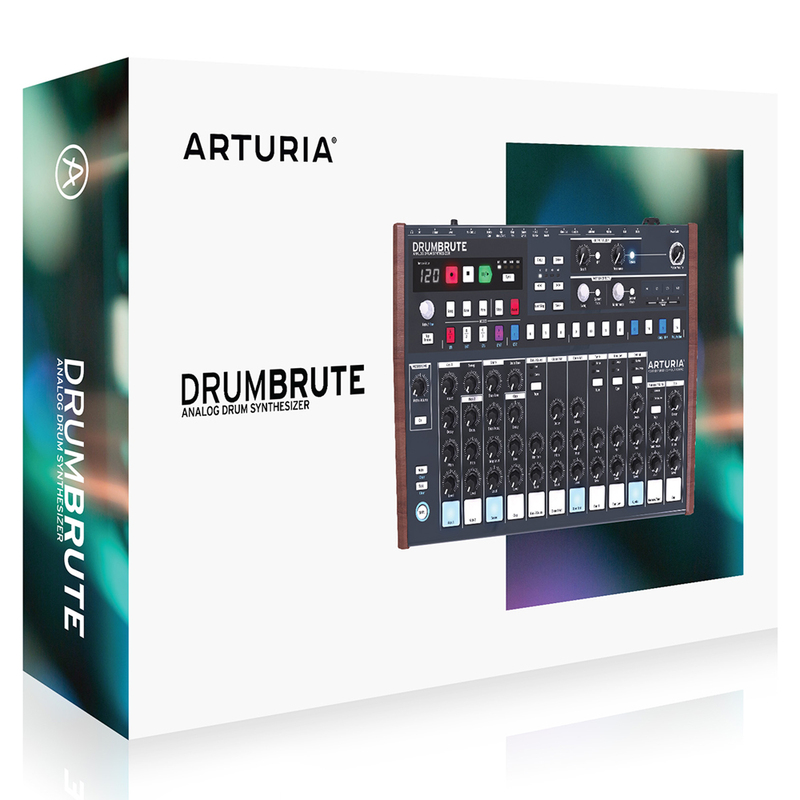 Bridging the gap between inspiration and technology, DrumBrute offers punchy analogue drum sounds, advanced 64 step / 64 pattern sequencing possibilities and ultra-effective performance controls.